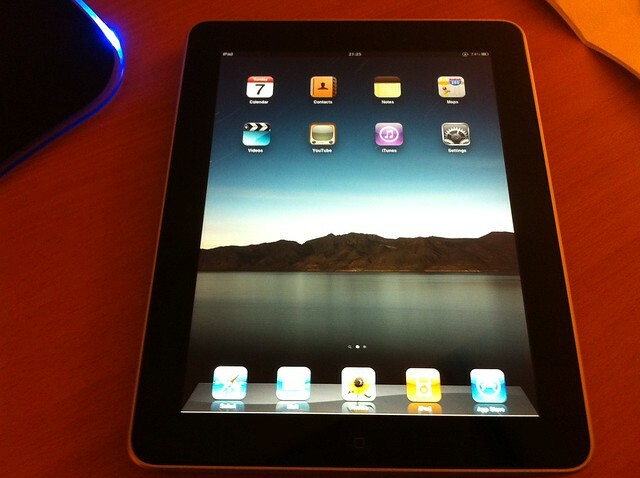 Matt Bresciani's Blog: What does iPad 3's release mean? I've often wondered with all the capabilities that the iPad has, why don't more schools invest in using the iPad as a learning tool. There are so many different programs and apps that are available on iPads that could significantly enhance students learning, not to mention that more and more textbooks are becoming available via iPad. (Check out some of the textbooks apple presently offers) I recently had a discussion with my dad (who is a the Principle of High School) why we haven't seem much of a push to use iPads within classrooms. He told me that this was something he very much wanted to see in our schools today, but there was just one problem, they cost far too much to be able to supply an a 1-1 ratio for iPad to students in the schools. At the time I asked him this question, basic iPad 2's were about $499.99, which would cost the average High School about $400,000.00. With a price tag like this I can understand why we don't see more iPads in schools let alone a 1-1 ratio. However with the recent release of the iPad 3, the price of iPad 2's have dropped almost 25% with the basic iPad 2 cost between 299.99 and 399.99. With the dropping price of iPads, I believe the "It cost's too much" excuse is starting to become a moot point. What do you guys think? Do you think that the release of the iPad 3 and the lowered prices of iPad 2 will have an impact on the amount of technology we will see in schools in the next year? I think it will take another generation. You're probably right, unfortunately something like this won't happen over night. It will probably take a few years until we see a 1:1 ratio for students to iPads. I think that the release of the new iPad should make it more cost effective, and therefore easier for schools to access. However, although many schools will have the funds, there are many school divisions that won't want to fork over the money for iPad's. That said, I do think that the amount of technology will increase by next year. ipad's are already popping in schools, and from what I've heard from teachers that are using them in the classroom, they love it. With positive feedback and lower costs, I think more schools will invest. I definitely agree with you Tara! The more teachers that begin to use iPads within their classrooms and spread the word about their experiences, maybe more schools will invest. I think many Schools and School Systems are scared to be the "first one" to fully invest in this concept. I would bet that once one school or system takes the first step, many will follow.